We get it - you want to have fun with the kids, but it would be nice if they could learn a little something along the way too. In the Lake George and Glens Falls area, you can have both! From amazing museums steeped in history and culture, to activities at a family oriented YMCA, to fun events going on at a local library, you'll never be without an adventure you and your kids can embark on. 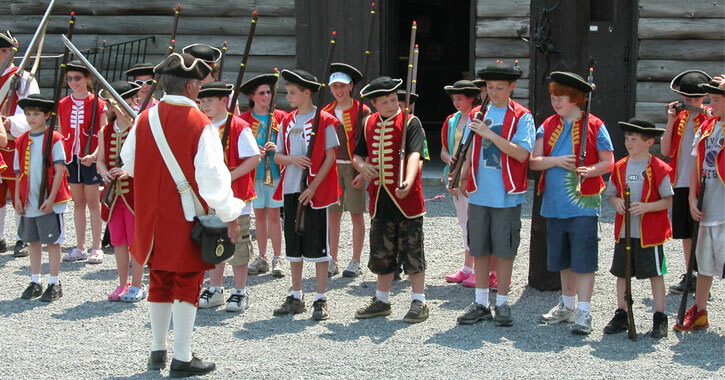 Fort William Henry played a significant role in the French & Indian War, and your kids can learn all about this fascinating part of local history by taking a tour at the museum, which is open from May to October. But this is no ordinary museum tour! A guide dressed in 18th-century military clothing will explain the weapons and warfare of the period, complete with live firing demonstrations of muskets and cannons as well as a musket ball molding demonstration. At the end of the guided tour, children are invited to join the King's Army. Young "soldiers" are given period clothing, a musket, and a chance to drill with the guide. After the "firing" of the musket, the group will be given a certificate indicating their new, important soldier titles, and a coin for payment. The Lake George Association works tirelessly to protect the pristine waters of Lake George, and their outreach to educate the community on the lake extends to children with their floating classroom! 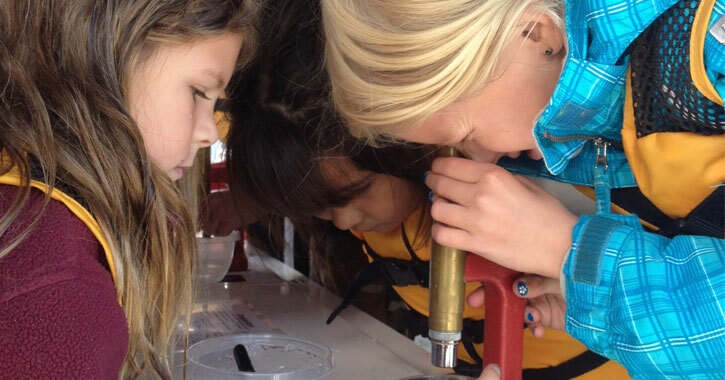 The LGA Floating Classroom takes kids right out onto the lake to delve into topics like clean water, invasive species, wetland plants and animals, and much more through hands on adventures. They measure water clarity, catch zooplankton, and test the pH and temperature of the water. Pricing is incredibly affordable for the LGA Floating Classroom - just $10 for kids under 18 and $17 for adults, so you can come along and learn a little something about the lake with your kids! Programs on the LGA Floating Classroom for the general public occur on Wednesdays in July and August, but tour groups, schools, and resorts can schedule their own adventures from May through October. There is a true gem in Glens Falls, just 11 miles south of Lake George Village. One of the Northeast's most notable small art museums, The Hyde Collection, is a museum and historic house that features world-class art through five galleries and they're always presenting new and different exhibitions throughout the year. The Hyde offers innovative programs and events for children to make the most of their amazing museum, such as their Tours for Tots events. Tours for Tots happens on Thursday mornings during the school year and is aimed towards kids ages three to five. The children learn about a particular piece in the museum and then they spend time in the Art Studio making their own creations. There are also school vacation programs like a Children's Art Workshop that take place during summer break, spring break, and February break. One thing that's really great about The Hyde's children's programs is that they're even able to include infants! The first Friday of each month they host an Art Crawl event, where babies and their caregivers participate in an activity that's designed just for the little ones with art, exploration, and play. There are other events and programs that take place throughout the year, however, you don't have to wait for something special or specific to be going on. The Hyde also offers Discovery Kits, which you can simply ask for at the front desk. Discovery Kits include ideas of creative and educational activities for kids and help to guide visitors through the museum. You have not seen a children's museum like this one! 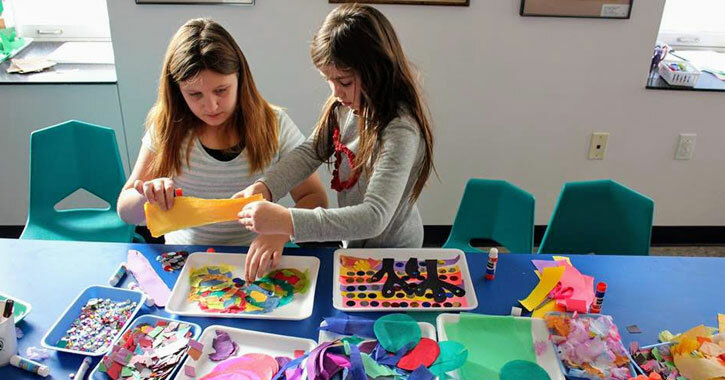 The World Awareness Children's Museum, also in Glens Falls focuses on teaching kids about fascinating cultures around the world through interactive exhibits, multicultural programs, and fun events. Kids can shop at a Nigerian marketplace, wear costumes from other countries, play interesting instruments like a thumb piano, create their own dance performance, match coins and stamps from across the globe to corresponding countries on a map, and so much more! This is truly the perfect place for kids to discover the world. 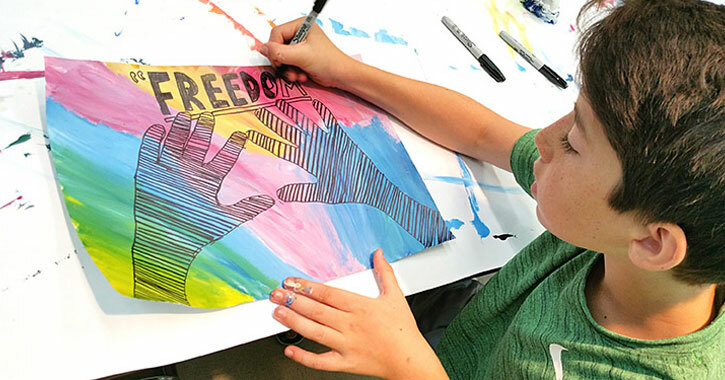 Guided and self-guided tours are available, they host birthday parties, and the museum also participates in an international youth art exchange program - they have a permanent collection of over 7,000 works of art created by kids from over 80 countries. Don't forget about the Y! 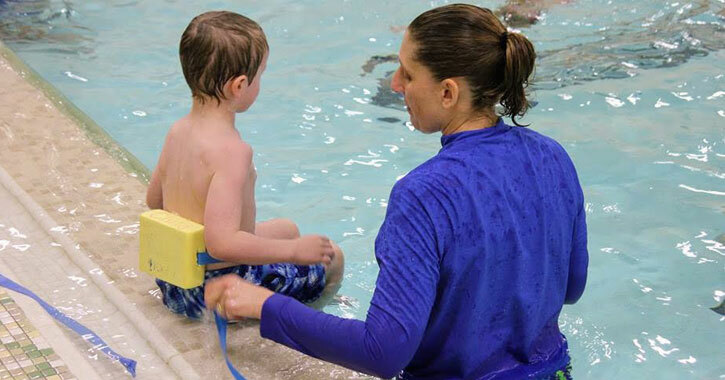 The Glens Falls Family YMCA, just about 9.5 miles from Lake George, is the place to go if you're looking to integrate a little fitness and health with educational fun. The state-of-the-art facility includes a gymnasium, a swimming pool, and more, with fitness classes, summer camps, and after school programs available. There are a slew of programs worth looking into at the Y, including swimming lessons, youth sports, gymnastics, and dance and theater. The programs are open to kids, teens, and families, and are appropriate for a wide range of abilities and budgets. They also host fun events, like Family Fun Night, with pizza, activities, and swim time. The skills kids learn through their various programs are absolutely invaluable. They set and meet goals, learn to work as a team, develop an appreciation for sportsmanship, and they learn to have healthy relationships with their peers and with adults. 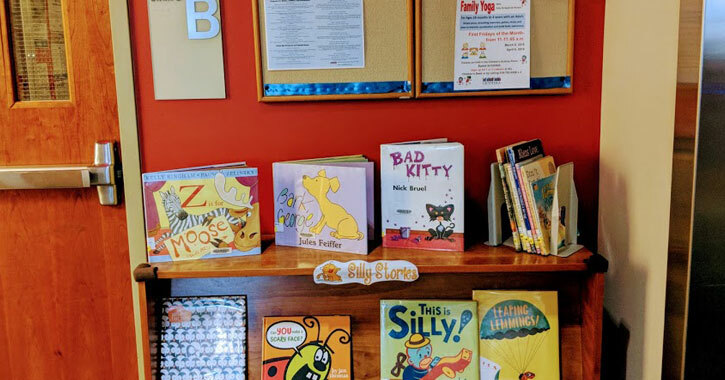 The family-friendly Crandall Public Library in the heart of Glens Falls always has something exciting going on for kids! They host Toddler Storytime, Toddler Playgroups, Preschool Storytime, Preschool Art Time, and baby programs. They even have a Reading Therapy Dogs program for kids five and up - you schedule a time for your child to share a story with a special furry friend. If you have a child at least 18 months old who has not yet started kindergarten you could take part in the 1,000 Books B4 Kindergarten Challenge the library holds. You can join at any time, and the task at hand is to read 1,000 books together with your child before he or she starts kindergarten. If you read just two books a night for a year that adds up to 730 books right there! You'll earn prizes for every 100 books read, and the library helps you keep track. In addition, the library has a Folklife Center with cultural programs like free folklife concerts. The Folklife Center is dedicated to preserving and showcasing the cultural traditions of the upper Hudson Valley and southern Adirondacks areas through a gallery, archives, and the cultural programs. Depending on your child's age, this could be another aspect of the library to make use of. The Pember Museum is a well-kept secret located in Granville, about 45 minutes from Lake George. 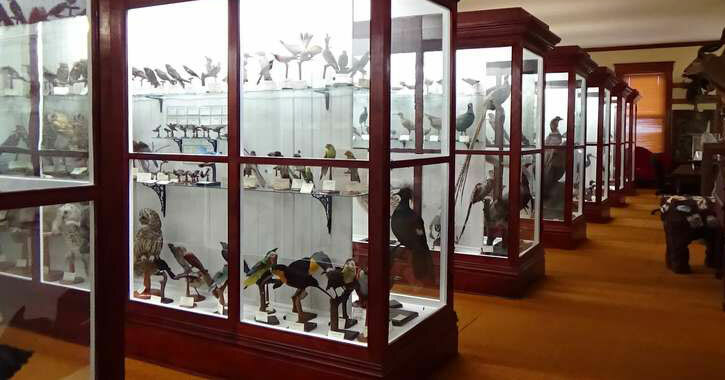 This museum houses rare and exotic mammals on display like the duckbilled platypus and red kangaroo, and they have over 9,000 specimens altogether! And did we mention there's free admission? Children are invited to make use of the "Please Touch" naturalist's cabinets that consist of a variety of hands-on specimens worth checking out like skulls, bones, pelts, and shells - the Pember Museum really makes an effort to make their exhibits fun and exciting for children. They also offer field trips, lectures, tours, hikes, day camps, and more. Speaking of hikes, you can find 125 acres of the neighboring Pember Nature Preserve that includes seven walking trails. If the weather cooperates and your kids are up for a little hike, you can make that a part of your trip to the museum!